Commercial use of UAVs found to improve efficiency. Commercial drone use is taking off, and soon more Spokane-area industries and businesses big and small are likely to see and hear what the buzz is about, some drone users here say. Robert Rees, owner of Rees Aerials LLC, of Spokane, has been flying drones for commercial uses for about three years. Such uses have ranged from facility inspections to feature-length videos and documentaries, says Rees, a retired military aviator. Drone use also is starting to grow in real estate sales, he says, adding that drone photography and videography provide perspectives that real estate buyers don’t see in a standard real estate listing. “Based on reports I get back from buyers, they like to see that,” Rees says. Anticipating growing interest here in the use of aerial imaging in residential real estate sales, Tom McArthur, communications director for the Spokane Association of Realtors, is organizing a forum titled Home Drone: Enterprise Drone Conference & Expo. 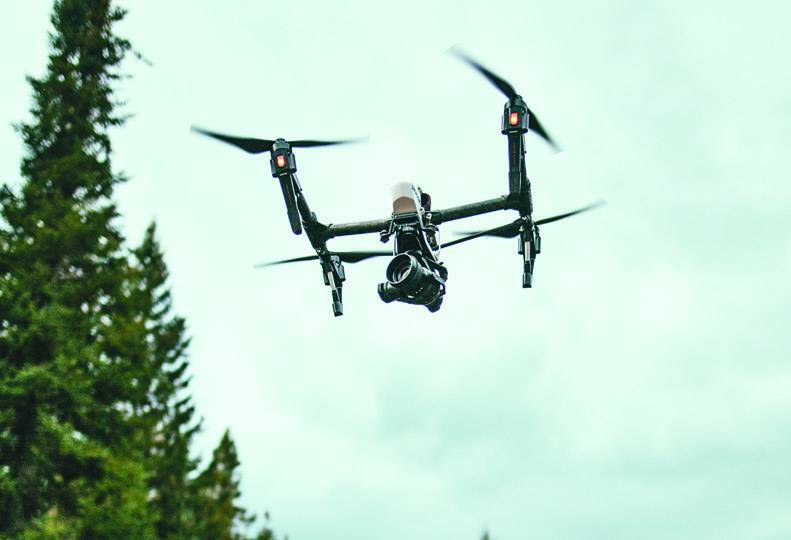 The daylong event, which McArthur says will be the first such forum here on drones for business use, is scheduled for March 21 at the Spokane Convention Center. Although the conference originally was intended to focus on drone use in real estate sales, general admission tickets can be purchased for $150 to $175 by anyone interested in piloting nonrecreational drones in the course of their business. Presenters will include representatives of the drone industry, commercial drone users, service providers, and the Federal Aviation Administration, McArthur says. The FAA issued a rule last year that requires certification for nonrecreational drone pilots. “We want the conference to be an illumination of what you need to do right,” McArthur says. Rees, who is the lead Spokane representative of the FAA safety team, will participate in the forum. Coeur d’Alene-based drone developer xCraft Enterprises LLC designed its flagship X PlusOne drone for the recreational market, but now is developing a new version for commercial applications, says JD Claridge, xCraft president and CEO, who also will be a presenter at the forum. The X PlusOne is unique in that the X-wing drone can take off vertically and then fly horizontally at high speed for about 20 minutes before it needs to be recharged, Claridge says. The commercial X PlusTwo drone, which will be released within the next few months, will have enhanced vertical capabilities, and will target the construction and mining industries with its mapping applications, Claridge asserts. XCraft also will target cinematography and advertising videography, with the X PlusTwo, he says. Security and police work will be the third nonconsumer market that xCraft will target with the X PlusTwo drone, Claridge says. “We could see our drone being used as a replacement to the police helicopter,” he says. Rees contends drone use will become ubiquitous as more businesses and industries embrace it. For example, Rees says an engineering firm recently hired him to provide drone images for a visual inspection of the Steam Plant smoke stacks downtown. The drone images enabled the firm to pinpoint areas that needed further attention, Rees says. “It saved a lot of man-hours and reduced lot of liability,” he says, adding that the conventional methods would have required engineers to use climbing gear or erect scaffolds to inspect the stacks. An image taken from a drone piloted by the project superintendent shows an aerial view of the Merrill Gardens at Monterey retirement complex that Spokane-based SRM Development LLC is building in California. Spokane-based SRM Development LLC owns a fleet of four drones and uses them at all of the company’s job sites, says Trevor Aschenbrener, an SRM principal who oversees construction. SRM has replaced conventional contracted aerial photography with in-house imaging using drones, Aschenbrener says. “We bought our first drone in 2014 for office complexes we were working on in Kirkland,” he says. “We found we could start doing photos in-house more frequently and get any angle we would like at a lower cost,” he says. SRM currently is developing several senior communities in Western Washington and throughout California and, depending on flying conditions, deploys drones weekly to collect photo and video images of each project. 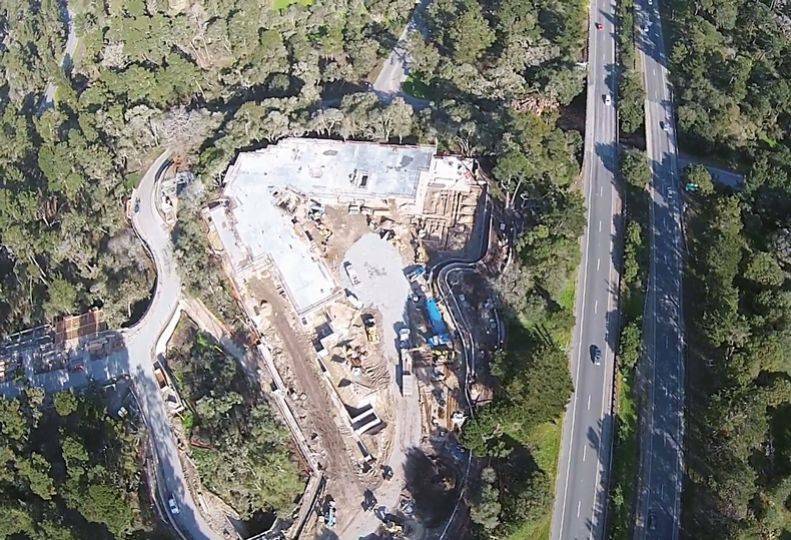 Many contractors in the Seattle and San Francisco Bay areas also own their own drones, and Aschenbrener predicts drones will become a standard tool throughout the industry. SRM’s drone cameras capture images at resolutions of 12 megapixels or higher, and 4K video. Technology and applications for drones are growing rapidly, Aschenbrener says. SRM’s four-rotor drones are roughly two feet wide and weigh 16 to 18 pounds. They cost $1,500 to $3,000 each, and Aschenbrener claims they pay for themselves within six months through cost savings compared with conventional aerial photography with hired planes and helicopters. SRM has one certified drone pilot and two others are going through the certification process, he says. 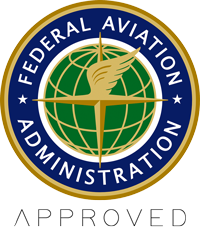 In the Spokane area, instruction and training for commercial drone pilot certification is offered through Felts Field-based Northwest Flight School. Coeur d’Alene-based North Idaho College also regularly schedules classes for unmanned aerial vehicle pilot training. The NIC course is led by a representative of Hayden-based Empire Unmanned LLC, a pioneer provider of commercial drone services. If we can be of assistance to you on your next aerial media marketing campaign or commercial media project, please do not hesitate to ask for assistance. You do not have to hire Rees Aerials to gain the benefit of experience. We are here to help, so call with questions, call with concerns or you can contact us to answer questions of curiosity on how this whole drone thing works. Don’t hesitate to ask, because we are here to help.